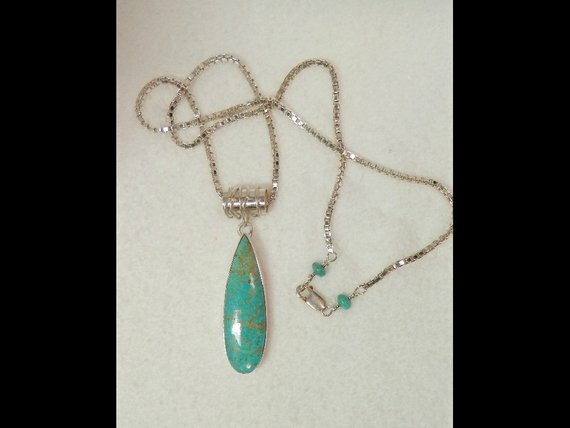 Carico Lake Turquoise Sterling Pendant Designer Hand Made Necklace. 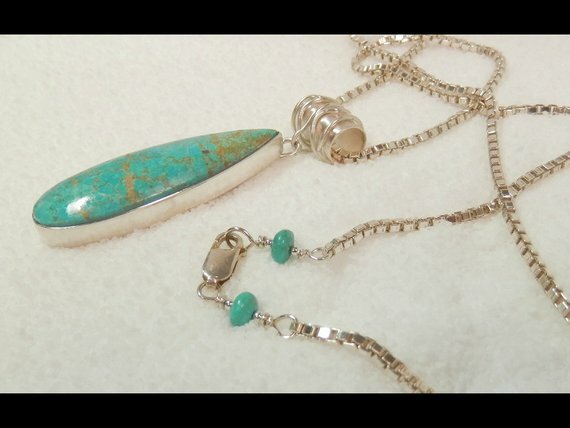 The Turquoise in this pendant has been in my private stash for over 25 years.....this quality of natural, heirloom, Carico Lake is just gone! 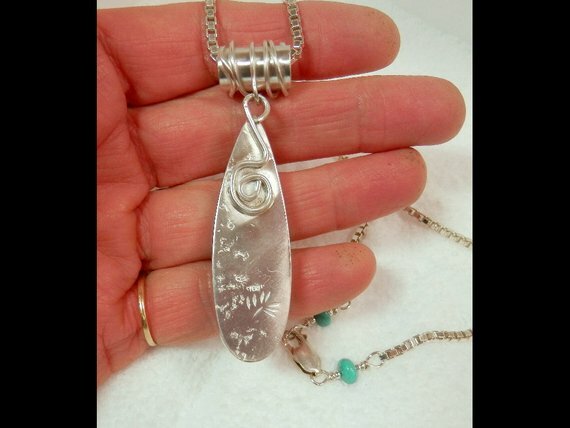 The pendant is hand fabricated in sterling and fine silver, signed, one-of-a-kind and is on a 23” sterling silver box chain. 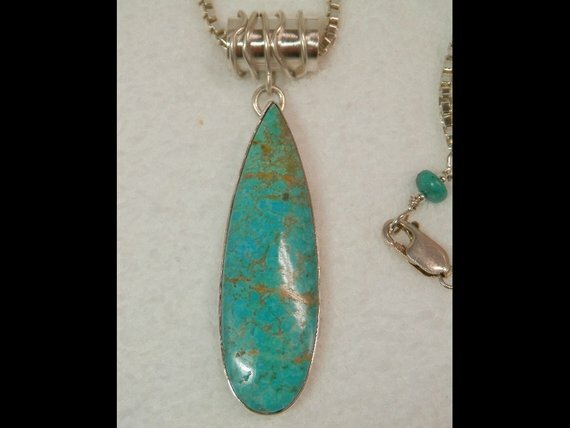 What a fantastic piece of American Turquoise. 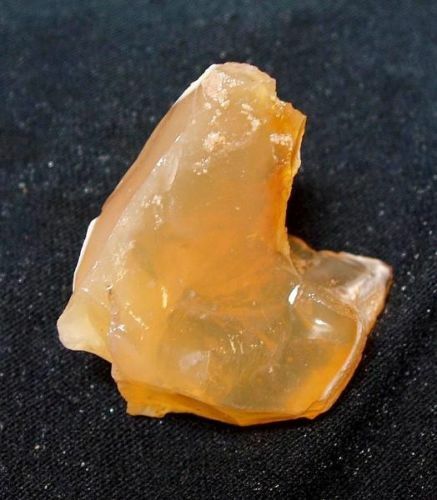 The pendant measures 3” from the top of the bail and the cabochon is 50mm x 15.5mm x 5mm. Another stop-traffic piece of designer jewelry from Holey Stones! Thank you for looking and as always, buy with confidence!